Cards illustrated with animals that students must identify by asking carefully formulated, fact-finding white-hat questions - no wild guessing allowed! Hugely popular with both students and teachers. Based on the old Twenty Questions" show, this game helps teach questioning skills, analysis of information, as well as the essential aim of broadening vocabulary. Also superb for ESOL students and students who need to improve their vocabulary and self-confidence. 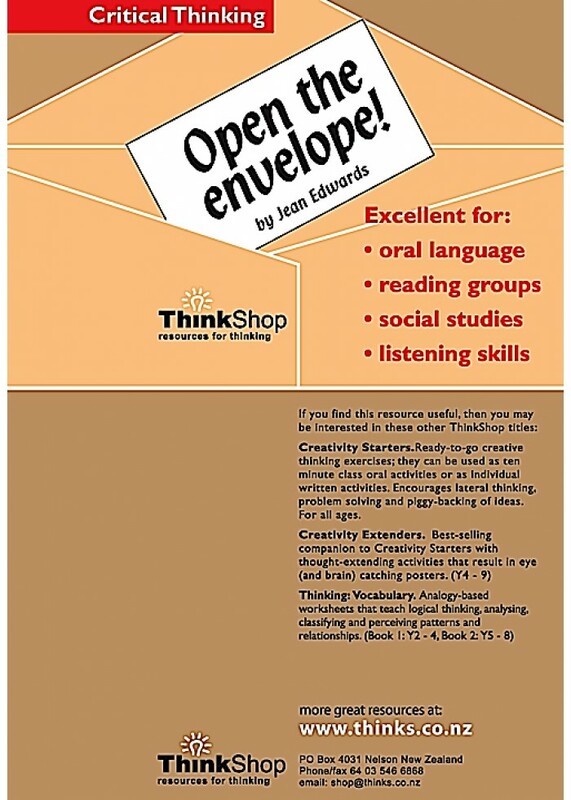 This is the book you need to introduce your students to creative thinking as well as to teach them to assess and improve their individual scores. Fluency, flexibility, originality and elaborati..
Great for visual and hands-on learners. Teach younger students about their community's road signs and also basic maps and symbols! A Visual Language Unit that integrates symbols, road signs and advert..
Maori-language version of Attribobs. A great game for fun reinforcement of vocabulary, spelling and phonics of maori words and objects, as well a a real booster for thinking skills. Students (and adul..